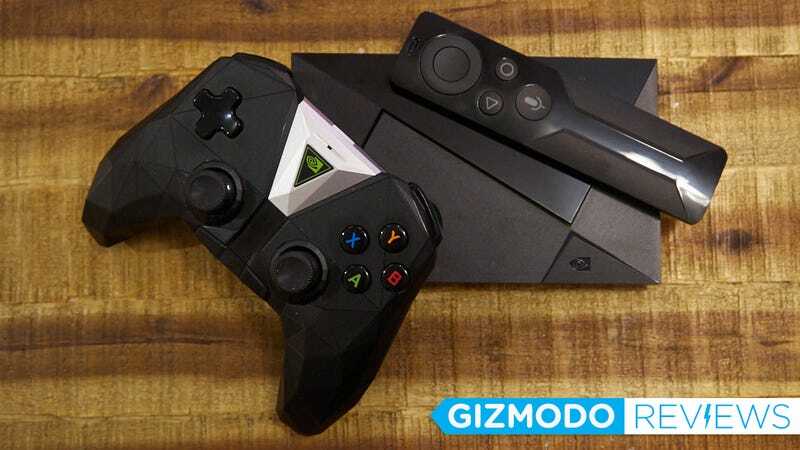 The original Nvidia Shield looked cool and had some neat ideas behind it, but its cost and use of the neglected Android TV operating system left the set-top box/console fusion feeling more like Frankenstein than legitimate answer to either Roku, PS4 or Xbox One. 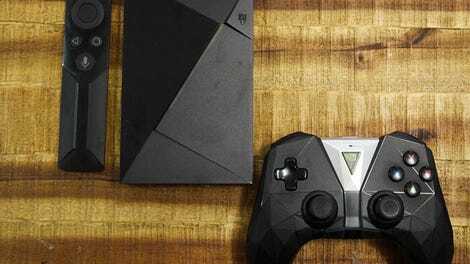 A major software update and some much needed changes to the system peripherals has changed the Nvidia Shield into a legitimate set-top box choice—especially if you’re looking to playback 4K HDR content. A 4K HDR set top box built on Android OS. This is one of the prettier experiences available, and you can game too! The 500GB version is better, and $300. It’s $200 price tag feels steep in the face of the $100 HDR-capable Roku and $90 HDR-free Amazon Fire, but the Shield can handle games nearly as well as it handles TV and movies. More importantly, the user interface feels luxurious next to something like the aging Roku UI. PS Vue is finally easy to navigate, and better looking than anything spied on cheaper boxes. Same with Netflix and Hulu. And, crucially, the Shield TV now has Amazon Video. That was a major missing app from the original Shield. The other key update from the original Shield are the peripherals. The remote is now included, instead of being a $50 add on, and the controller is now smaller and lighter and automatically pairs with the system—fixing the tedious pairing process that plagued use with the old Shield. The new controller also has an audio port that instantly streams all the audio from the Shield box to your headphones—useful when Verizon is building a server farm in the adjacent basement to your bedroom and you want to tune it out. In Nvidia’s bid to refresh the system and appeal to new potential Shield owners, it borrowed the funky angular aesthetic of the box itself and applied it to the controller’s handles. I didn’t mind the way the edges dug into my palms, but other people preferred the gentle swoop of more traditional controllers like that from the Xbox One. The original Shield felt like a crummy Android gaming console first, and a set-top box second, but this new one seems much more comfortable in its skin. It’s designed to understand that people blowing $200 on a tiny Android TV box are probably more focused on watching movies than streaming games. Though it does do the latter with genuine aplomb—I easily streamed Witcher 3 directly from my computer and from the cloud. If you rarely play video games, but want to stay up to date on the major titles, then the Shield could be a good choice. Nvidia has announced plans to expand the streaming service later this year giving you Day One access to major games found on Steam and Green Man Gaming, and from developers like Ubisoft. But the Shield shines best as a set-top box. The apps are prettier, the system’s range is wider, and thanks to its powerful guts it should be able to handle bigger updates, like smart home connectivity and expanded HDR format support, in the future—which means it will could be a little more future proof than the cheaper Roku and close to on par with the much more expensive PS4 or Xbox One. If you’re looking to upgrade, or planning on buy a set-top box you won’t have to replace in a year or two, than check out the Nvidia Shield. Android for the TV finally has an Amazon Video app. Like other premium set-top boxes this one handles 4K HDR content. But the apps are prettier. Internally identical to the original Shield (which should receive the same software update soon). Just smaller and with new peripherals that automatically pair. Streams PC video games, which makes it useful for casual gamers who maybe don’t want to invest in a real console or gaming PC.